Rove was first approached for a radio gig via an approach to his manager, Token Artists managing director Kevin Whyte. “I was back in the country and I had just finished a series for the Game Show Network,” said Rove. “I was back here with nothing much to do waiting to hear if there would be a second series. When asked about seeking other advice, Rove said he spoke with Pete Helliar. 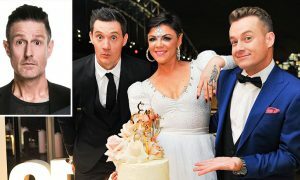 “But his experience in here wasn’t really the most positive one.” Helliar has worked in the past on 2Day breakfast with Judith Lucy and at Triple M Melbourne with Myf Warhurst. Helliar also guest-hosted one morning with McManus when Frost was off for a day. 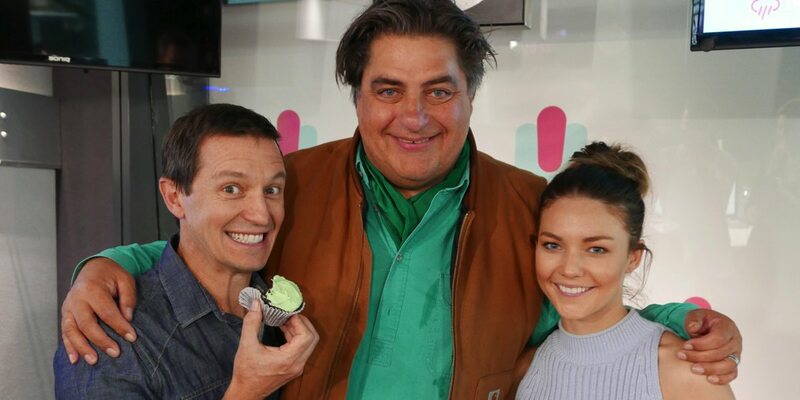 Despite her success on two TV series with Network Ten, Frost said she never really thought she might have a career in the media until she signed the contract with Southern Cross Austereo. Another Rove trademark are the pre-packaged intros for each interview. At 6pm each day prior to the show there is a conference call with producers that outlines the plan for the following morning. The hosts are in at 5am and at 5.30am they start a briefing process. “I did 10 years of my show in Australia, then two years in Los Angeles. At Ten when I was there it was never the #1 network and we were never the #1 show. We did really well though. It was a rollercoaster ride with some great years – the era of The Secret Life Of Us and Big Brother at its peak. There were other times when the network was struggling and we were struggling accordingly. It’s not like we were ever a #1 show on a #1 network. But we were successful and that led to longevity and acclaim. We do have a bunch of shiny statues at home from people who were watching who agree. “All we are looking for here is to produce a show that we are proud of and enough like-minded individuals agree so that we keep our heads above water. 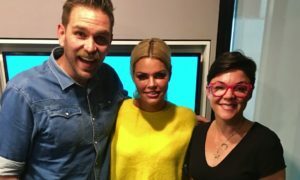 Some of the people the new 2DayFM breakfast co-host interviewed in week one were Chris Martin, Kylie Minogue and P!nk.